The Kit Yamoyo value chain: Kit Yamoyo assembly > Delivery to Coca-Cola wholesaler > Purchase by retailer > For sale in retailer’s shop > Bought by mothers > Drunk by the children. 1. Isn’t it wrong for a health charity to work with Coca-Cola? 2. What is The Coca-Cola Company’s involvement in this initiative? 3. Why doesn’t The Coca-Cola Company just do this? 4. How will you make sure that Coca-Cola continue to support this idea? 5. Do you mind if anyone else copies your work? 6. How can you test the ColaLife idea? 8. What is the best distribution model for this idea? Why isn’t the kit just given away free? 9. Can the model be made to be sustainable – ie self-funding? 10. Where does ColaLife fit in the Aid or Trade argument? 11. How can you minimise negative impacts or misuse? 12. What are your views on manufacture in Africa? What about resource use and waste? 13. What happens to the Kit Yamoyo packaging after it has been used? Does it have another function? 14. What is the key learning on co-delivering in crates with Coca-Cola? 15. Who should pay to implement this idea? 16. Who administers the medicines in the AidPods/Kit Yamoyo? 17. Who distributes (within communities themselves) products such as oral hydration salts and condoms? How can one ensure this is transparent? 1. Isn’t it wrong for a health charity to work with Coca-Cola on principle? It’s a product that is bad for health (eg tooth decay, obesity etc). Aren’t you promoting a bad company/product? We do not apologise for speaking to Coca-Cola and other corporates. Many brilliant experts work in companies like Coca-Cola, and they are willing to share their knowledge. We believe that ignoring sources of expertise, insight and learning ‘on principle’ limits progress. We found both Coca-Cola and SABMiller (the world’s second biggest brewer) very willing to share their knowledge and expertise to help others to improve child health. Many consumer products are not good for health, especially if over-consumed, but we feel that people, wherever they live, should be free to like them, buy them, and enjoy them. We are all potentially consumers of such products, and these days, consumers have a lot of power to hold companies to account. ColaLife is a tiny charity. Its mission is neither to take on manufacturers, nor to promote their products. There are over 200 different ‘colas’ in the world. The ColaLife name is designed to provoke discussion among specific audiences: a challenge to corporates, health agencies and academics – if cola can reach remote communities, why don’t life-saving medicines? However, the ‘ColaLife’ name or brand is not used on any of the products, posters or training materials we design. It is not seen by customers. For them, the link between cola and the diarrhoea kit, Kit Yamoyo, does not exist. Real engagement started with a statement from The Coca-Cola Company (TCCC) made as part of a feature on ColaLife on BBC Radio 4 in 2008. This included an invitation to discuss the idea. TCCC invited Simon to participate in a workshop in Tanzania way back in 2008 to look at how they could add social value to their business. In 2010 TCCC suggested we work with one of their local, independent bottlers. We worked during the COTZ trial with SABMiller, who helped us understand their distribution and value-chain thinking, shared their retailer training materials with us to adapt, and assisted with publicity and events. Until the end of the first trial (in 2013) we worked through a nominated contact linked with Coca-Cola’s Government Relations and Corporate Affairs Department; we regularly shared insights and learning, on how to transfer their expertise to our model, and what we each learnt about ‘The Last Mile’ and how multi-sectoral partnerships work, in developing countries and in rural areas. It was a relationship based on trust – not on funding or financial gain. The key trial finding that it was the gap in the market, not the space in the crates, is what is important. We dropped the idea of using the space in crates, but still hold the patent for the idea. Since the re-design of the packaging, we rarely have reason to liaise with staff of TCCC. 3. Why doesn’t The Coca-Cola Company just ‘do this’? One of the first statements we published from Coca-Cola underlined that they acknowledge they can’t ‘just do’ something like taking over the distribution of medicines. It looks simple, but it’s complex. It is not their area of expertise, or their purpose. TCCC is very devolved. Its bottlers tend to be large independent companies, and it is they who decide and manage in-country initiatives. Coca-Cola HQ recognises this. To get things right, to test and then implement innovation, we needed consultation right down to local community level, and right up to health ministries. We needed partners across a range of expert areas and all sectors: Government, Business, non-profits – and academia too. We’ve found – unexpectedly – that a small independent team of innovators like ColaLife can play a role as a ‘trusted intermediary’ between all these players, in a way that a single one of them perhaps can’t. It is the exchange of learning and insights that perhaps offers the most promise for lasting, practical innovations. We don’t need open-ended support. Coca-Cola is a big name, and no doubt helped to attract the thousands of supporters we have, online, via FaceBook, Twitter and following our blog. This has given a tiny organisation like ColaLife a great deal of ‘soft power’ – an unintended outcome of our desire to learn from corporate distribution. Numbers are important, and a well publicised, open public profile showing a track record is also helpful. More important still, is to distill and pass on learning on what is feasible, successful, worth developing and supporting. We have liaised with different partnerships in a range of countries who have worked with Coca-Cola. No. This is what success looks like for us – others copying our work in part or as a whole. Open source is a basic ColaLife principle. The best people to implement the concept are those who have the long term responsibility for public health in any given country (the Ministry of Health, NGOs) partnering with those who can facilitate the distribution chain (eg bottlers, distributors) and also pharmaceutical companies. ColaLife’s strategy for global impact is to influence the strategies of players and donors who can support them, so that they improve access to ORS and zinc treatment by adopting the learning we are generating (and continue to generate). ColaLife could not possibly grow quickly enough to take on all these functions and have the impact we believe we can have and nor should we. We are a ‘foreign body’ in all the countries where our work could have a big impact. It’s not up to foreign bodies to ‘be the solution’, the capacity to do what needs to be done already exists locally, within existing organisations. We will support them to take on the learning (if they want us to) and help them come together in new public/private/NGO partnerships to realise the impacts we demonstrated in our trial for themselves. This approach can be seen on a range of pages about our strategy for impact, next steps, current status and in blog posts. 6. How do you test ColaLife’s ideas? A carefully designed and fully evaluated trial is the best way to test the concept rigorously and make sure that findings are accepted. That’s why the first trial (called COTZ – ColaLife Operational Trial in Zambia) involved UNICEF, managing the monitoring and evaluation, and Universities, like Johns Hopkins USA. A summary of the original trial plan for Zambia is here. A summary of the results are here. There is a published doctoral thesis, written by our Public Health advisor, and our work has been featured in global publications. 7. Where does the money coming from, for the AidPod/Kit Yamoyo? Kit Yamoyo is now produced commercially in Zambia by a local manufacturer, making its own investment. It is profitable for them. They sell directly to the market, so the money come from people’s pockets. 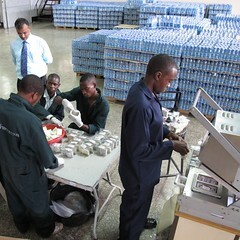 They strive to cut costs and pricing, and are selling into large supermarkets, small retailers, to government and to NGOs. ColaLife is in the process of handing over intellectual property to the manufacturer, under a no-cost licencing agreement. We have assisted with donor funds to develop the market for the ‘smart network’ we created in Zambia, but expect to end that in 2018, leaving a self-sustaining product. We are seeking manufacturers in other countries willing to take on or adapt our lessons and designs. One purpose of the original COTZ trial was to get a clear idea of costings, and how different business models work within the value chain (eg affordable pricing, acceptable profit margins, ‘reverse engineering’ an acceptable consumer price into a viable ex-factory price, etc). The COTZ funds covered development of the trial packaging, with the contents of the packs coming from a mix of sponsorship and procurement. Since the trial we re-designed the packaging and contents to drive out costs and maintain key functionality and success factors. In the short to medium term, ColaLife is interested in providing poor customers with discount vouchers to promote affordable access and strengthen the value chain. We favour a range of routes to market. Government ministries don’t often have budget lines to buy all the medicines they want to give out for free, which is why we favour the complementarity that private sector options offer, and local manufacture so that the government and NGOs procure locally. We are open to different future options in other countries, with the long term aim of developing self-sustaining models. Other models could include hybrids of market investment, cross-subsidy, public/private partnership, and sponsorship of vouchers for the poorest. 8. Why isn’t the kit just given away free? We think that ‘free’ is a misnomer. Someone always needs to pay. Who pays? is a more interesting question. See the question above. We expect different variants to work in different situations. The original business model for the Zambia Trial is explained here. The value chain thinking we have adopted and latest costings and prices are regularly shared on our blog, including a monthly dashboard. Governments everywhere recognise that a free health service for all is very challenging to provide – even in a rich country. If a donor pays for a recipient to get a medicine for free, that is fine as long as that donor is on board to pay ‘forever’. This is usually not the case, and so a short-term ‘free’ offer can undermine a sustainable, local solution – discouraging local production or even putting people out of business. We prefer to encourage low-cost, affordable, self-sustaining solutions – which are business-based. This is why we prefer to work with local in-country manufacturers, who provide local jobs, and a more responsive supply. We aspire to offer discount vouchers to customers who cannot afford to pay – especially while the market develops. This supports rather than undermines the existing private sector systems (retailers, wholesalers, distributors and manufacturers) that bring goods to remote rural areas and poor urban communities. See above. The COTZ trial helped to establish the parameters for an unsubsidised business model. This is the basis of the scale-up in Zambia which is currently underway, based on local, existing, commercial actors. Learning as it emerges appears on our blog. The ColaLife concept is a hybrid. We don’t believe that ‘Aid is bad’ or ‘Trade is good’. In some situations, like humanitarian emergencies and relief work, aid will always be needed. The poorest in society will always need extra support – relying only on market forces will exclude the vulnerable and take too long to ‘trickle down’. On the other hand, there is a growing understanding that aid-only initiatives may not be ideal from a whole range of standpoints. It is also important to consider carefully how you give aid. In a disaster situation it may be better to give people cash rather than food and shelter. Food and shelter helps an individual but does nothing to support, and can even undermine, local commercial systems which will have been devastated too. We favour using market forces and the profit motive as far as possible, to build local livelihoods and to make the value chain a ‘win-win’ for all the players. Funding – for example for market development, retailer training, new product launch – may come from donors or corporates, and that may look like aid. But market development support, for example, subsidies designed to support, not undermine, existing trade opportunities, and joint investment of funds and expertise in public/private partnerships are to our mind preferable to disempowering free ‘hand-outs’. Please see this blog post on subsidies, and why we feel ‘free’ doesn’t work. The contents of Kit Yamoyo are not dangerous and cannot really be misused. Any model or design that is going to work effectively will need checks and balances. 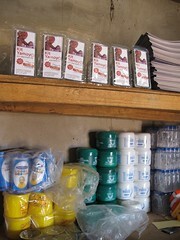 Will local traders or distributors open up products, like Kit Yamoyo, and take out what is valuable? Not if it is against their interest: that is, they earn from each kit safely sold or delivered. We also educate customers so that they know what to expect in the product and refuse opened or damaged ones. Will there be tampering or ‘leakage’ in the distribution chain? This is rare in a private sector system as the person handling the product at any one time owns the product and so there is a ‘duty of care’ built into the system. What is more, the more product they make, distribute and sell the more money they make. This is in contrast to public sector systems where pilferage is often a problem and where workers are paid irrespective of their effectiveness in distribution. Will vouchers be mis-used, or be stolen or diverted? Every system is open to abuse; we have found, however, that training, to promote local accountability and ownership, can be very powerful. In addition, our voucher monitoring systems have fraud checks built in. 12. What are your views on manufacture in Africa? Local manufacture is one of our main tenets. Clear benefits include local job creation, cost reduction, environmental benefits in terms of transport, and a more flexible, responsive and timely supply chain. Other benefits include skills transfer and innovation. These need to be balanced against design requirements, affordability, materials availability, skill-base and infrastructure. 13. What happens to the Kit Yamoyo packaging after it has been used? Does it have another function? What about resource use and waste? Use of plastic packaging is a recurring question (see below). We have not solved the affordable, bio-degradable, appropriate packaging conundrum yet. Biodegradable packaging remains an option for the future. The benefit of correct measuring of medicine would seem at the moment more important than fears about plastic in the environment. Re-use of the pack is one way to discourage build up of plastic waste. Secondary use (reuse) as a measuring or storage device is popular. Our original idea, of encouraging SODIS (purifying water using sunlight and a PET container) is not practical with such a small container. 14. What is the key learning on how to co-deliver in crates with Coca-Cola? The use of space in crates excited everyone – but was not the key innovation. It remains our starting point: one that unlocked other design innovations (see our innovation map); a powerful visual metaphor; a memorable (if unintentional) ‘brand-hack’ of a global giant which helped a tiny charity win the world’s attention. Co-delivery may work in some situations (eg one-off; humanitarian disaster response) but creates co-dependency not helpful for such distinct products, each with different patterns of demand and each needing its own inventory control, staff expertise, systems to maximise efficiency etc. These can be transferred as learning, without needing to rely on co-delivery. In the COTZ trial, co-delivery was encouraged at the district town level, when the retailer bought BOTH Kit Yamoyo and a crate of cola at the wholesaler. The purchases were not linked, nor ever intended to be so. We were never really interested in putting ‘AidPods’ in SABMiller’s warehouse or on Coca-Cola trucks – these only go as far as district towns, not out into remote villages. The most valuable part of the Coca-Cola distribution chain, from our point of view, is the so-called ‘secondary distribution chain’ from the district town to the communities where people live. This part of the distribution chain isn’t ‘owned’ by Coca-Cola at all. It is run by independent retailers and entrepreneurs who use bicycles, carts, buses and so on. 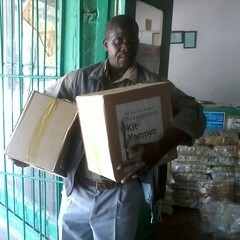 We wanted to incentivise them to pick up Kit Yamoyo when – and if – they picked up cola crates from their wholesaler. These networks hold the key to the wide penetration of consumer products into rural and remote areas. So we wanted to make the product as easy and as attractive to them as possible. A space-saving benefit was expected for the retailer. That did not prove to be the case. 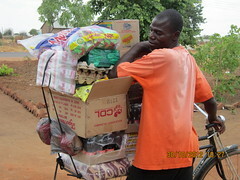 Kit Yamoyos during the trial could be bought, and carried, in bags of 5 or a carton of 35; this is how they were most frequently purchased and carried. A fuller explanation of the original trial business model is provided here. What actually happened in the trial is described here. Trials need controls and scrutiny, monitoring and evaluation, data collection and analysis – these are expensive, but invaluable. Set-up and development costs – like originating the packaging, and producing ‘short production runs’ – are also expensive. This is why we needed donor investment. The main outcomes of the original trial were learning and proof of concept, rather than ‘lives saved’. Roll-out can be further divided into, for example, the need for market development, establishing end-to-end value chains that work; educating customers; training micro-retailers, seeking bigger customers for economies of scale, localisation of production, simplification of systems, cost reduction etc. Then there is the ultimate aim of long-term self-sufficiency. We believe that for a new, African manufacturer, taking on the cost of market development for a low-cost product all by itself will not be commercially attractive. A public/private partnership offers many benefits, however, and this is the model we are pursuing in Zambia – where a local manufacturer risks investment, but donor funding supports education, awareness and contributes to product launch costs and market development. The ColaLife model is adaptable to different circumstances, different needs and different business models. Different backers or investors will be interested in different aspects. There may be options for cross-subsidy and sponsorship, as well as income generation. There is also a cost to main-streaming what we have learnt – dissemination and sharing – which donors with an interest in child health may be willing to support. 16. Who administers the medicines in the kit? This will depend on the model – which should be decided locally – and on the ‘medicines’ involved. 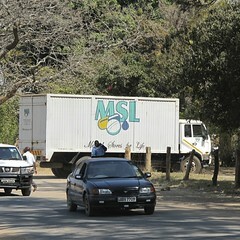 Oral Rehydration Salts and zinc can be sold ‘over the counter’ in Zambia. ORS is familiar to most people in some countries, like Zambia; zinc less so. Neither cause harm. Distribution of other more expensive, complex or prescription-only medicines are more complex. Some medicines require cold-chain, or prescribing expertise. 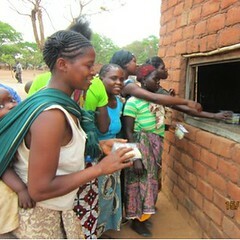 In Zambia, Kit Yamoyo is bought by retailers, trained (‘para-skilled’ in product benefits and basic knowledge on diarrhoea, safe water etc) where funding allows. Other models to test in future, might involve the products being collected by a community health worker and administered under their supervision. In this scenario the retailer would be paid once the community health worker confirmed safe receipt. Both the confirmations could be done by mobile phone. This model is described here (Could the private sector supply remote rural health posts in Zambia?). 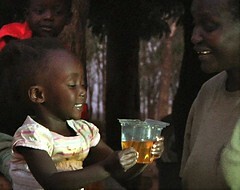 17. Who distributes (within communities themselves) products such as hydration salts? How can one ensure this is transparent? Distribution systems vary in different African countries – which is one reason it is so important for local agencies to determine how – and if – ColaLife’s learning is useful, and how it can best be adapted to local circumstances and needs. 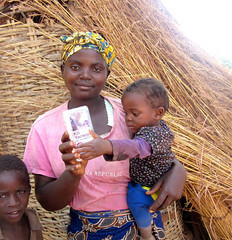 In Zambia, ORS packets are free in health centres – but in rural areas, a mother may have to walk up to 30km to her nearest outlet – and then find none in stock. Stock-outs of simple medicines are common in developing countries – especially in rural areas – in both public and private sector outlets. With vast distances, poor roads and many competing demands, public health systems can struggle. 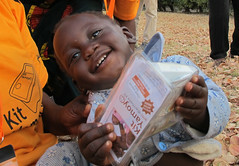 The ORS sachets given out in Zambian health centres are 1 Litre – and our trial showed irrefutably that 1 Litre sachets (originally designed for institutions) are not best for home use. Carers do not have a litre measure at home; no child needs 1L in a day (200-400ml is more likely); the litre, once made up, needs to be thrown away in 24 hours and this is a waste of precious water, often carried many kilometres, and boiled at some cost to the household. Some countries, Zambia included, have developing networks of community health workers and some – unlike Zambia – have growing networks of small drug stores, like Tanzania’s ADDOs – but both still need ways to access stock. There is interest in training up the owners and staff of these small drug stores – ‘para skilling’. This is something we are doing in Zambia; here the retail private sector pharmacy network is not well developed – there are fewer than 70 pharmacies, nearly all in main towns. Supporting small rural kiosks to sell ‘Kit Yamoyo’ in Zambia, to local mothers and carers – at an affordable price, works well. In developing countries, transport costs can be 40% of medicine costs and anything that could bring that cost down, or improve reach at the end of the distribution chain, is worth looking at seriously. Hi, I am very interested in this project and I just want to know are there any challenges you have on both production and distribution sides? I will add your email to our ColaLife News Service so that you get our blog posts be email and can follow our progress. Please check your inbox for a verification message from “FeedBurner Email Subscriptions”. You will need to respond to the confirmation email you receive to activate the service. If you activate the service, there is a link in each update to switch the service off if you want to stop the service at any time.